If, as I have posited in the first of these essays, “whether the men of the American Revolution and founding thought in terms of natural law or of natural right makes the difference between courthouses engraved with the Ten Commandments, and ones whose portals bear the words inscribed over Rabelais’ Abbey of Theleme: “Fais ce que vourdas”—Do what you want (limited only by what you can get away with)” then why, in the founding generation’s voluminous writings is there no distinction between natural law and the concept of a natural right to do whatever one might wish, much less any denunciation the latter? First, the Founders’ own interpretation of certain key texts about nature differs from the way they are commonly interpreted in our time. Second—and likely more important historically—is the contrast between the customs that the founders affirmed and the ones against which they rebelled. John Locke, whom our Founders quoted extensively, is especially important. In our time, few dissent from the proposition that Locke did in fact start from the epistemological premise that society consists of individuals originally “in a state of nature.” Today, Leo Strauss’ reading of Locke as a subtle co-founder of the natural right tradition is generally shared. Therefore some conclude that, since the founders quoted Locke more than any other authority, they were revolting against any and all previous notions of society and were instituting a polity dedicated to fulfilling whatever desires might take precedence within it. That might be Locke’s logic. Voltaire thought it was. But it was not the founders’ logic. Therefore some conclude that, since the founders quoted Locke more than any other authority, they were revolting against any and all previous notions of society and were instituting a polity dedicated to fulfilling whatever desires might take precedence within it. That might be Locke’s logic. Voltaire thought it was. But it was not the founders’ logic. The founders’ reading of Locke and their understanding of his key concepts was what some may call straightforward and others describe as superficial or unsophisticated. Locke, after all, had written The Reasonableness of Christianity, A Discourse on Miracles as well as his First and Second Treatise on Toleration. All these books were written in the language of the King James Bible—the language of the day. Hence, they are full of Christian concepts, inferences, and references. Indeed the very notion of a “state of nature” that is prior to all human obligations may be interpreted as the work of God—another way of talking about the Garden of Eden. It is not difficult to imagine people who thought in that language and who were struggling against the monarchies of the Baroque age reading Locke’s works as re-discoveries of reasons for the recovery of freedom. In John Quincy Adams’ best-known address, for example, we see the easy compound of elements that we regard as oil-and-water. On July 4 1823, Adams—who was at least as literate as any academic before or since—said that as a result of the Revolution, Americans had become “Christians in a state of nature.” Coupling these two concepts, doing which makes no sense to us, made perfect sense to him and to his audience as it had to Americans in his father’s time. From the day of the Declaration, the people of the North American union, and of its constituent states, were associated bodies of civilized men and Christians, in a state of nature, but not of anarchy. They were bound by the laws of God, which they all, and by the laws of the gospel, which they nearly all, acknowledged as the rules of their conduct. They were bound by the principles which they themselves had proclaimed in the declaration. They were bound by all the beneficent laws and institutions, which their forefathers had brought with them from their mother country, not as servitudes but as rights. They were bound by habits of hardy industry, by frugal and hospitable manners, by the general sentiments of social equality, by pure and virtuous morals. How does this emphasis on ancient custom and on the laws of God—altogether unexceptional until our very own time—fit with the equally widespread sentiment that all of this was novus ordo saeculorum, radically new? The answer lies in the question: New in what sense? In What Sense Is America New? 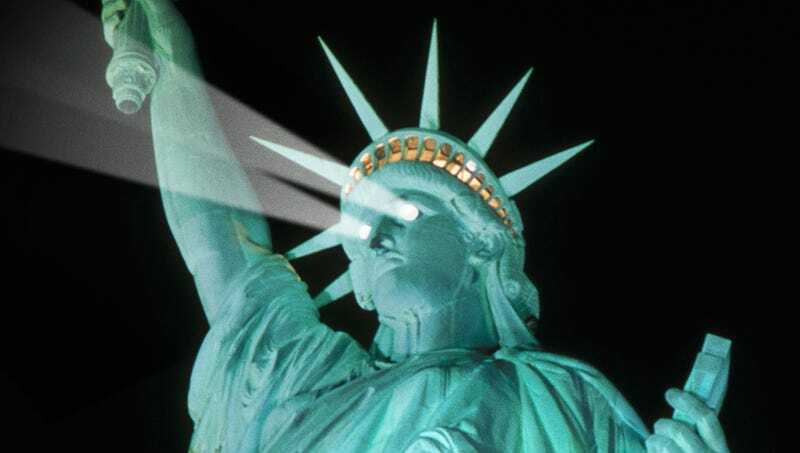 The American regime was wholly new because nothing like it had ever existed. Other republics and even some principalities had been proclaimed by and for “the people”—as those who did the proclaiming defined the term. Some of these had been proclaimed by Christians, who presumably accepted the laws of God, and for whom the term “the people” necessarily implies human equality. The American founders, for their part, were well aware of all past instances of “popular government,” but took pains to distance their new creation from any and all of them. They stressed again and again that limiting government’s capacity to dominate society was the primordial feature that they wished to install. Modesty, sobriety, republican responsibility had been absent from previous republics. They would be the American regime’s practical watchwords. The ideas that the Americans were fashioning into reality, aside from Montesquieu’s so-called “new political science,” were anything but new. Adams, again mixing Locke with the classical tradition, had written that it was “new, not as a theory, for it had been working itself into the mind of man for many ages, and been especially expounded in the writings of Locke, but had never before been adopted by a great nation in practice.” But even this practical “new science,” was largely Montesquieu’s reflections on balancing legislative, executive and judicial powers—primarily an elaboration of the classical concept of the mixed regime. Vintage Aristotle. The American founders, for their part, were well aware of all past instances of “popular government,” but took pains to distance their new creation from any and all of them. They stressed again and again that limiting government’s capacity to dominate society was the primordial feature that they wished to install. The most fundamental ideas of all—and the least novel—regard the relationship between God and man. The Americans knew that they risked their lives by revolting. But they were confident that in so doing they were not risking their immortal souls as well. That is because they rejected the common contemporary notion that kings rule by divine right—indeed that governments have any right to define what is right. Rather, they believed—Thomas Paine’s Common Sense made a big deal of this—that since God is equally the father of all men, God set no man to rule over any other man. It followed that political life is strictly between men, each of whom is equally responsible to God. This is something that every Christian believes. The Israelites’ original political life, wrote Paine, was “democratical.” Paine was no Christian. But he wrote—successfully—to appeal to his Christian, Protestant audience. John Locke may or may not have been any more Christian than Paine. But he too quoted scripture to make a powerful case to Christians against Divine Right in the person of its best known English defender, Robert Filmer, who had attacked “the position of the supposed natural equality and freedom of mankind, and liberty to choose what form of government it please.” Locke, to show how thoroughly Divine Right contradicted Christian theory and practice, also cited several Jesuits, notably Roberto Bellarmino (Bellarmine), who had set forth standard Christian political theory in De Laicis (1588). Divine law gives this [political] power to the collected body. Furthermore, in the absence of positive law, there is no good reason why, in a multitude of equals, one rather than another should dominate. Therefore, power belongs to the collected body. It depends on the consent of the people to decide whether kings, or consuls, or other magistrates are to be established over them. And, if there be legitimate cause, the people can change the kingdom into an aristocracy, or an aristocracy into a democracy, and vice versa, as we read was done in Rome. Bellarmino thought that arbitrary power was a bad thing whether located in one, few, many rulers or a mixture thereof, and quoted Plato to this effect. Because God commanded man to subdue the earth and the animals but not other men, no man may rule another as men rule animals. Consent is required. There was nothing radical or strange about this from the standpoint of Christian doctrine. It had been the standard political theory—though certainly not the practice—of the European middle ages. But, since the sixteenth century, this had become outright treason with regard to every European monarchy, whether Catholic or Protestant. There is a lot more to the American founding than that, just as there is a lot more to the Bible than that. But the proof that the regime that issued from the Revolution of 1776 and the Constitution of 1789 was not meant to legitimize rule by people free to re-invent right and wrong, exercised by an omnicompetent ruling class, is to be found in the contrast between the limited regime that issued from the American revolution and the modern state that emerged full-fledged from the French revolution. The extent to which any of America’s founders ever noticed Locke’s references to specific medieval Christian scholars is irrelevant to the fact that that these scholars’ teachings about how regimes may be structured and what makes regimes legitimate are awfully similar to what the American founders wrought. Indeed kinship would be all the more remarkable had the Americans been wholly unaware of the medieval arguments, since that would show that these ideas were simply the “common sense” of educated Christians. “God created man in his own image.” Genesis. “All men are created equal.” The Declaration of Independence. “Render unto Caesar the things that are Caesar’s and unto God the things that are God’s.” Jesus. “Congress shall make no law regarding the establishment of religion or prohibiting the free exercise thereof.” The First Amendment. These are old teachings, which had been propounded but honored in the breach for centuries, but which colonists on the edge of a wild continent now were laying down as the foundation of one of history’s greatest nations. The French revolutionaries overthrew the ancien regime for reasons very different from those that moved the Americans. If the Americans had opposed their ancien regime upon the same bases as the French opposed theirs, they would have built a regime of unlimited, discretionary, largely administrative power. But they chose another basis, and built another regime. The contrast could not be more striking. Except for the question of legitimacy, (who rules and by what right?) France’s revolutionaries transmuted the royal regime of the Baroque age into the Modern Administrative State. Directly. Non-stop. Unlike the Americans, they had no objection to the political theory and practice of the previous four centuries, during which France had acquired a central administration that claimed universal expertise and which exercised authority absolute in practice as in theory. Hence the French Revolution, and the kindred ones that swept the rest of Europe changed the identity of rulers and the form of regimes, while preserving their substance. The French revolutionaries spoke a language very different from that of the Bible. No nonsense about morality there. Like Hobbes, they imagined that men had emerged from an unambiguously secular “state of nature” into society in order to safeguard themselves and improve their lot. For this, men had given up their natural equality. By virtue of that, all matters, religion very much included, had become subject to regulation and improvement. The only question was who would superintend that regulation and improvement. 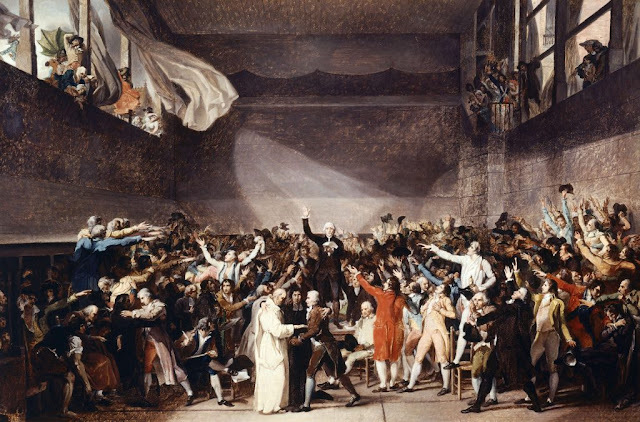 Power was the French Revolution’s practical question. The French revolutionaries spoke a language very different from that of the Bible. No nonsense about morality there. Like Hobbes, they imagined that men had emerged from an unambiguously secular “state of nature” into society in order to safeguard themselves and improve their lot. According to this modern view of history, “the people” originally had lived by a variety of inefficient arrangements. Then, the kings rationalized administration. Henceforth, the people’s government would decide the practical meaning of “liberty, equality, fraternity.” By the same token, the king and his bureaucrats had come to superintend the Church. “Come the revolution,” that job would now pass to a secular ministry of “cult” that would ensure religion’s contribution to the public good. In France, the revolution continued the monarchy’s four-century old revolutionizing of French society and morals. In this regard we see most clearly the influence of the “natural right” mentality: human beings come as individuals. Accordingly, families and other civil units are not the result of nature, but purely of choices that individuals make for their own interest. Thus the French revolutionaries, like all their successors from Moscow to Washington D.C., focused on de-valuing natural society. They promoted libertine behavior not so much to enjoy it as to destroy the current moral order. The Marquis de Sade was as fundamental to the French revolution as Robespierre. For both, marriage was the primary target because it is society’s foundational institution. The French national anthem, the Marseillaise, features “compagnes,” not wives. Aux armes citoyens! By contrast there is no record in the history of the American founding, none, of persons yearning for government power to impose a new moral or social order on anyone. The Constitution’s list of the Union’s objectives is modesty itself: “establish justice,” (by which the authors meant the rule of law,) “insure domestic Tranquility” i.e. calm controversy rather than add to it, “provide for the common defense,” “promote the general Welfare” i.e., make it easier for all to prosper—not taking from some so that others may prosper, “secure the Blessings of Liberty” i.e., prevent interference in how Americans live their lives. Is not that very modesty, that brevity about substantive ends, some kind of opening for doing whatever may come to mind? If the American founders, like the French revolutionaries (and, not incidentally like the French monarchy they replaced) had valued most the unfettered power to do good as anyone might define that good, the American regime might be inherently open-ended. Consequently, the practical meaning of our Constitution’s words depends on whoever has power to give them such content as he may. Then, freedom of religion might require freedom from religion. Ending racial discrimination might require discriminating by race. Securing the right to life might mean legalizing the killing of inconvenient babies and old people. Helping families could mean emptying marriage of meaning. Do not such as Barack Obama have at least a procedural point? If the American founders, like the French revolutionaries (and, not incidentally like the French monarchy they replaced) had valued most the unfettered power to do good as anyone might define that good, the American regime might be inherently open-ended. They do not. The American founders juxtaposed the Constitution’s legislative, executive and judicial powers not to give government more latitude, but to restrain it. They went further: the Bill Of Rights—each amendment of which are against government power—as well as the Constitution’s outright prohibitions om Bills Of Attainder, Ex-Post-Facto Laws, and retroactive laws, should resist mere partisanship. So should the unmistakable, short words of the Declaration of Independence and Constitution. Once upon a time, they did just that. Modern America’s administrative state—regulations made and administered by persons over whom ordinary people have no control—quite simply disempowers natural society while empowering government (and its retinue) to satisfy its appetites. Hence, our American regime is the negation of of the regime established between 1776 and 1789, not its logical outgrowth. Rather, the practices, procedures, offices and honors by which we live today, and above all their spirit, owe more to the logic of France’s regime, before as well as after its revolution of 1789. Follow these links to read part one and part three of this essay.